Android smartwatches may have arrived at the market before Apple but they have been playing catch up to it ever since the first Apple Watch was launched. Samsung, LG, Huawei, Motorola, ASUS and many others have brought some good smart timepieces to consumers but most felt either cheap, generic, too expensive and over all not that impressive. It is no surprise that every 7 out of 10 smartwatch wearers are sporting Apple Watch and not an Android one. In comes Mobvoi, a Chinese company founded in 2012 known for next generation human-machine interaction with AI technology. Mobvoi has developed it’s own Chinese voice technologies in the fields of voice recognition, natural language processing, and vertical search. 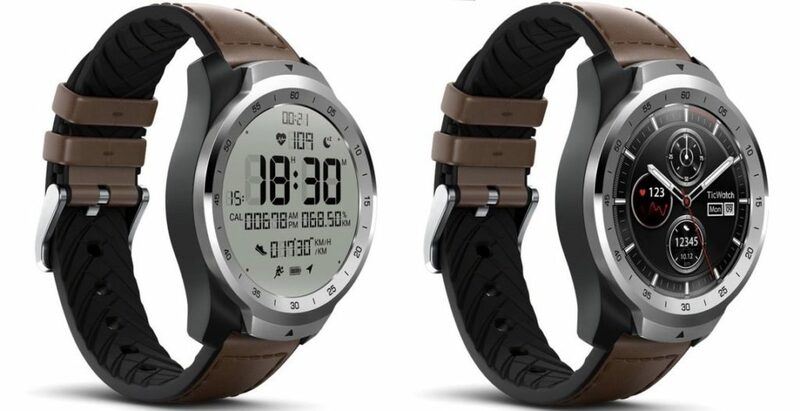 TicWatch Pro is their latest offering in their line of smart wearables. 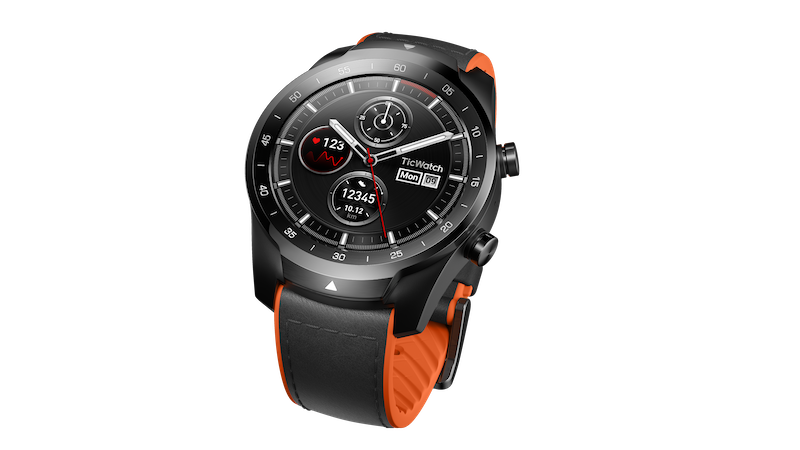 TicWatch Pro comes with a 1.39″ AMOLED 400 x 400 + FSTN Display. FSTN (Film compensated Super Twisted Nematic) panel resides on top of the AMOLED panel. The idea is to provide the user with the flexibility to either be power-efficient or get tasks done using the Wear OS apps. While the AMOLED shows it’s brilliance with vibrancy and class, the FSTN brings the amazing energy saving skills to the table. Battery efficacy trumps all other needs when you simply need a watch to tell the bare minimum information like telling the time and this is where even the best smartwatches are dropping the ball. FSTN display has been used in sports watches for years and in TicWatch Pro it is used for what the company is calling the ‘Essential Mode’. Fitness focused watchHigh sunlight readability makes it a great way to get the important things at a glance like Time, Date, Steps taken and Heart Rate. FSTN are notorious when it comes to intense light readability, meaning the brighter the sun, easier it is to read. 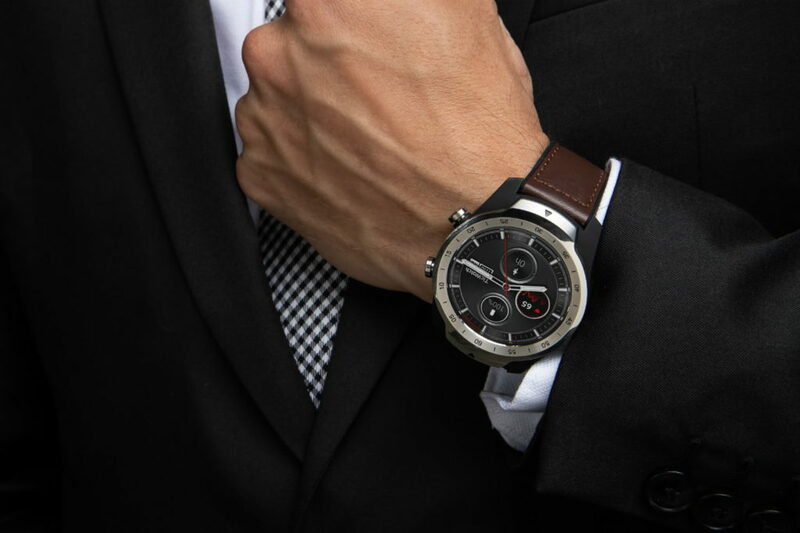 On top of it all, in the Essential Mode, the watch is good for 30 days on a single charge. As the battery drops below 15%, the Essential mode automatically kicks in to give you that extra few hours before you can go home and dock the device. On the other side of the Essential Mode is the ‘Smart Mode’, powered by Wear OS by Google and a beautiful 1.39″ AMOLED display. The watch in Smart Mode has a battery life of 2-5 days which is 3 more days than the latest Apple Watch Series 4. The watch can operate completely in Smart Mode for 2 days on a single charge but 5 days can achieved by enabling Essential Mode auto-switch. Smart Mode gets a very fun and productive experience thanks to thousands of apps on Wear OS by Google. The Always-on display in the Smart Mode is one the best to date as well. 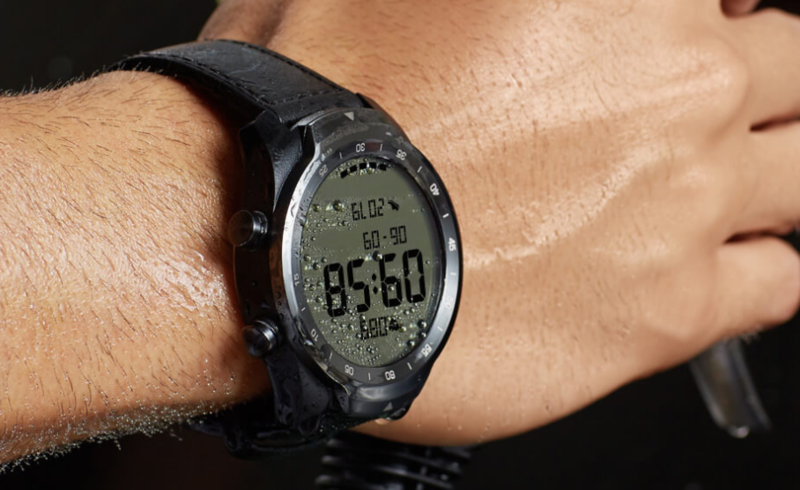 The watch is IP68 certified for Water and Dust Resistance and has a Qualcomm Snapdragon Wear™ 2100 with 512MB RAM and 4GB Storage. Google Pay is available of course via NFC, WiFi: 802.11bgn 2.4GHz and Bluetooth 4.2 are there for connectivity. Other features include: GPS / AGPS, Accelerometer, Gyro, Magnetic Sensor, PPG Heart Rate sensor, Ambient Light Sensor and Low Latency Off-Body Sensor. Google Assistant is simply a click away to make the watch work some menial tasks on the go. It is not all rainbows and sunshine though. 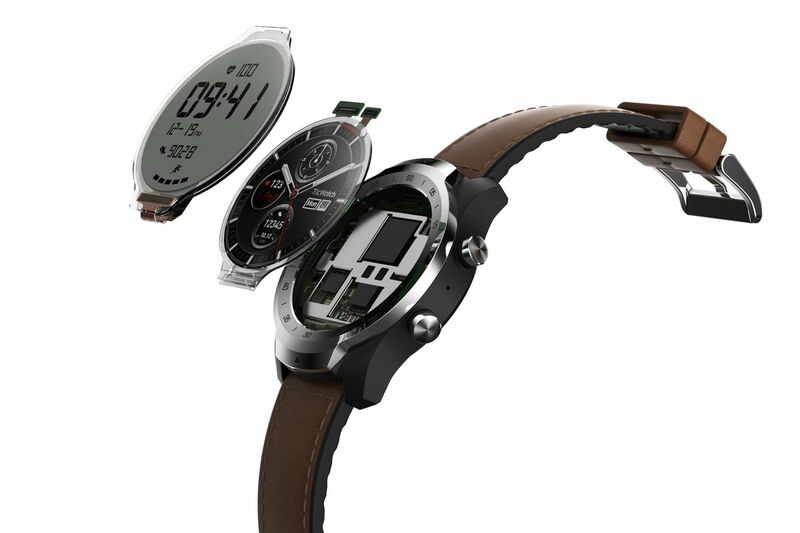 The watch has a reported lag issue between inputs and with the dimensions of D45mm x 12.6mm, thickness of the device is cumbersome with a full sleeve shirt on. Another issue is the lack of an LTE model which in today’s world is a must especially for the fitness mongers, so as of now the watch is not much of a stand-alone device and must be accompanied with the phone. The AMOLED is not as vibrant as a Samsung Galaxy Watch but it is moderately good. 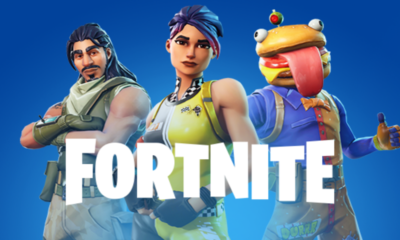 Another lacking element is the Bluetooth 4.2 which works just fine but since the latest devices are already coming out with 5.0, this seems somewhat outdated. Apple Watch Series 4 is the current king no doubt and Samsung is a direct competitor to it but both suffer from battery life issues and this is where TicWatch Pro shines brighter than any other smartwatch watch on the market. 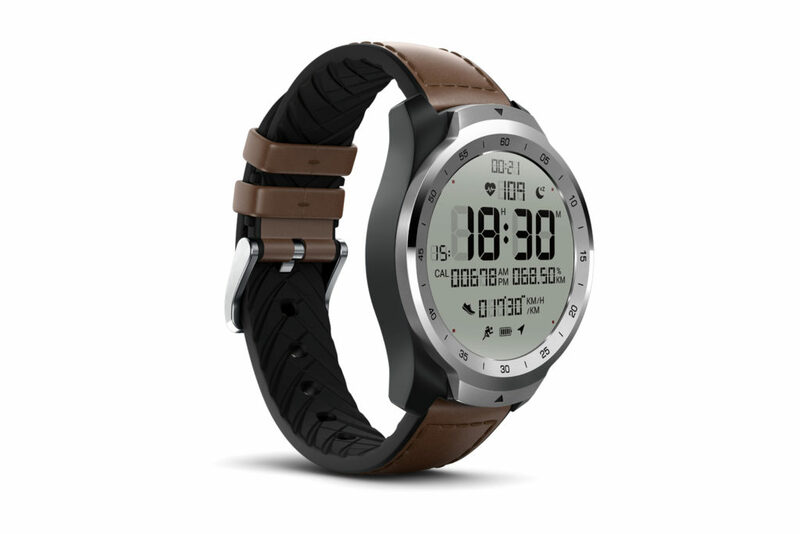 This is however the 1st gen Pro watch that Mobvoi has launched, hopefully the issues mentioned above will be addressed and the next generation will come out guns blazing. Hopefully by then the Wear OS will have better apps and more stable software. As of right now, in terms of pure watch usage paired with smart features, TicWatch Pro is a serious contender no doubt.